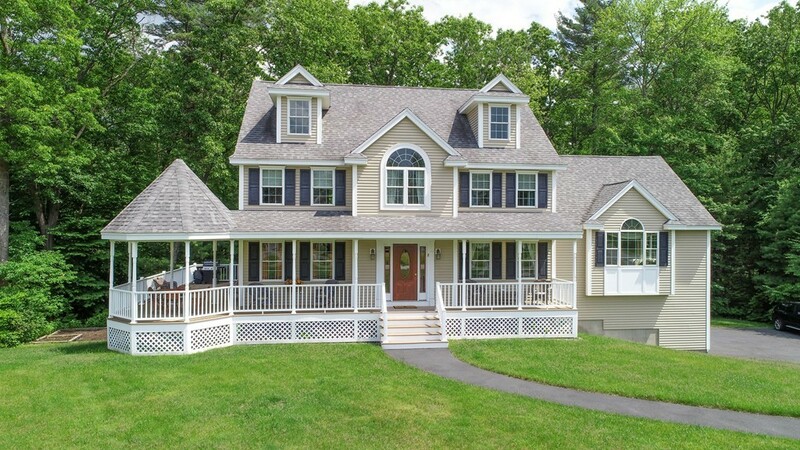 This beautiful Colonial is set at the end of a cul-de-sac in one of Salisbury's nicest neighborhoods. Conveniently located in close proximity to downtown Newburyport, Amesbury, and Salisbury Beach this home features a huge wrap around composite front deck/porch with a gazebo made for entertaining. The Kitchen features a large center island, cherry wood cabinets, granite, and opens to a dining area with access to the yard. The fabulous 24x24 Great Room with cathedral ceilings, transom windows, and fireplace is another fine place for entertaining guests. A gracious Master Suite with a walk-in closet and en-suite, and three other bedrooms with shared bath complete this home. Plenty of room for expansion in the walkup attic or the basement.